There are more than 85,000 ships and offshore assets on the oceans, that battle the remote, harsh and dangerous maritime environment on a daily basis. Our professional ROV Inspection Teams give asset owner/operators a proven, responsive and cost-effective underwater inspection and integrity management partner. Proceanic experienced and professional ROV Teams deploy high-spec Mini-ROV technology and tooling to inspect floating production assets, drilling assets and other offshore/marine vessels and structures. We pride ourselves on being agile, mobile, responsive, knowledgeable and extremely Cost-Effective. Proceanic ROV inspections are backed by two decades of Offshore and Marine Engineering & Project Management experience (we design and build floating systems). Our ROV track record is unmatched, with 100+ successful offshore Inspection Campaigns. ROV teams typically include Naval Architects, Marine Engineers or Structural Engineers. As a result, our personnel understand what they are looking at and know what they are looking for. We thoroughly understand hull structures, integrity management, the regulatory framework, stakeholder needs and the environmental conditions involved with each project. Proceanic provides an extensive portfolio of professional underwater inspection and intervention services. At Proceanic, our goal is to provide accurate, timely and critical information to protect offshore asset integrity, through detailed, comprehensive and cost effective ROV inspections. Proceanic ROV Inspection Services/Capabilities are audited and approved by major classification societies (ABS/DNV/LR) and are field proven. 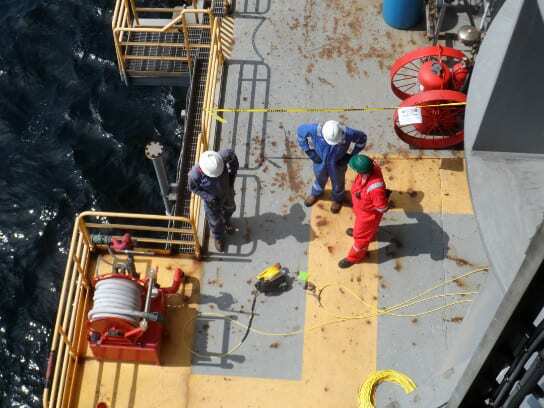 Our services improve safety and dramatically reduce risk to inspection personnel and the production or drilling asset (TLP, Spar, FPSO, Semi, Drill-Ship) by keeping Divers out of the water. Integrity management is not a new concept in the offshore industry. For many years now, the value of risk-based inspections has been understood. However, accomplishing these inspections can be a challenge, particularly when the areas to be inspected are located in a harsh offshore environment, 200’ underwater and covered in marine growth. Proceanic recognizes the critical importance of inspection, maintenance and ongoing integrity management of assets, and the need for continuous observation in order to maintain that structural integrity. Our ROV Inspection and intervention services ensure accurate, detailed, timely, and inclusive information on each of your assets. By providing comprehensive, concise and documented Inspection findings, our ROV services allow clients to make informed decisions on asset integrity management. 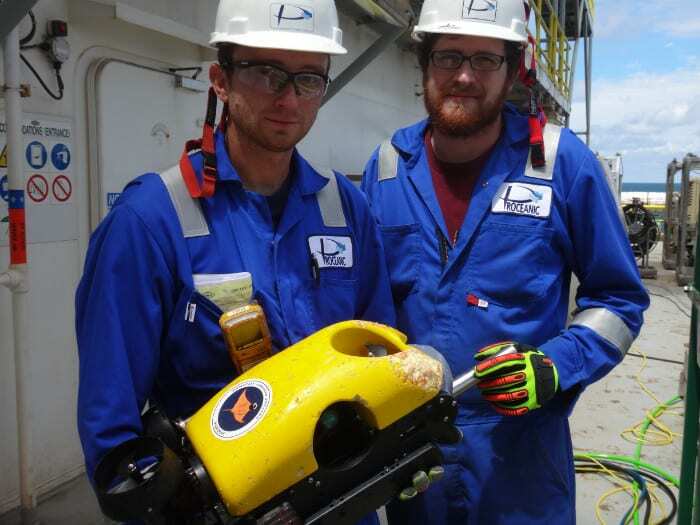 The Proceanic ROV Team, with its engineering background, has greatly broadened underwater inspection options by taking existing, proven ROV technology, integrating high specification and custom tooling, and developing progressive and novel methods and procedures to achieve underwater structural inspections that were previously not possible. From FPSO to Drillship, from Semi-Submersible to TLP, to Spar, Proceanic has successfully inspected it all. Additionally, Proceanic has also been involved in the design, construction, installation and ongoing operations of these vessels. We know what we are looking at, we know what we are looking for! Proceanic provides Underwater Inspections in Lieu of Dry-Docking (UWILD) and the underwater portions of In-Service Inspection Plans (ISIP). UWILD & ISIP ROV Inspections efficiently clean, observe and record the structural and operational integrity of a vessel throughout its operational life. Since 2013, Proceanic has pioneered the use of Mini-ROV’s to complete Class Approved UWILDs and ISIPs on MOPU’s, FPSO’s, drill ships and semi-submersibles. For drilling vessels, UWILDs are carried out while the vessel remains on station, on full DP and continues to drill. Five years and 100+ cost-effective Offshore Campaigns later, Proceanic is the industry leader in ROV UWILDs having saved $Millions for offshore production and drilling clients. Proceanic has developed and integrated tools and technology to safely and efficiently clean underwater portions of offshore and maritime assets. Cleaning systems are based on cavitational cleaning, which removes debris and marine growth, without damage to coatings. Cleaning services allow inspections to be performed in a timely and efficient manner, to Class Surveyor satisfaction. Close Visual Inspection (CVI) and General Visual Inspection (GVI) of Ballast and other Tanks including collection of Class Society approved Ultrasonic Thickness Gauging can be carried out with higher reliability, improved personnel safety, lower asset risk, fewer POB, lower cost and with minimal operational impact. Tank Inspection without Tank Entry! Proceanic is approved by ABS, DNV and LR to carry out ultrasonic thickness gaugings for periodic inspections of hull structural steel. Proceanic also holds the ABS higher certification of “ESP” notation, required for Tanker hull gauging. Proceanic is able to measure Cathodic Protection readings directly from the ROV, with real time data feedback to the control station. 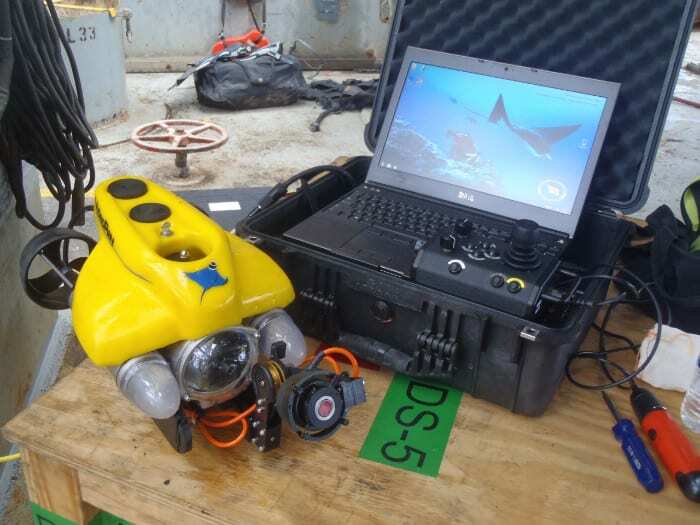 The ROV is able to utilize both a proximity and a direct contact probe, as required by each Client and installation. Suitable for Hull Structural CP Systems, Riser CP Systems, Pipeline CP Systems and more. Sea-Connection blanking, normally performed by divers and requiring significant off-hire time, is typically a costly, hazardous and time-consuming exercise. 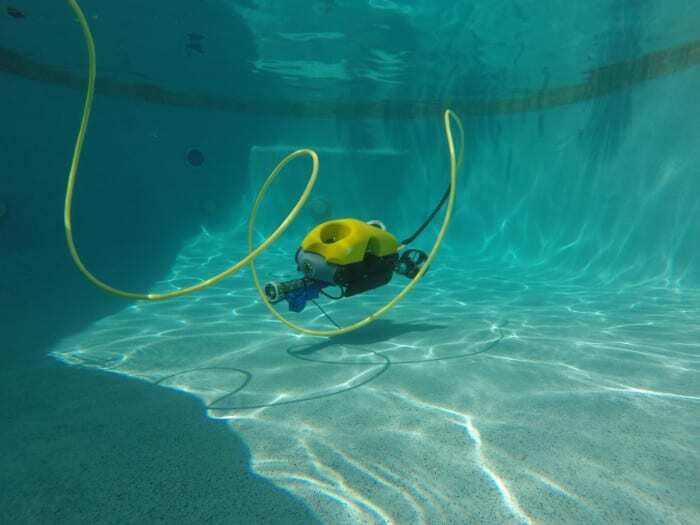 Proceanic has developed proprietary, dual-barrier, mini-ROV deployed plugs and deployment procedures for all valve sizes (2” to 24”), that remove the need for divers, improve safety, significantly reduce cost and reduce and/or completely eliminate off-hire time. Plug deployment allows safe removal, repair or replacement of sea-connection valves without the need for expensive dry-docking. Need to accurately locate and orient a drilling template on the sea-bed? Need to map out the route of a pipeline? Or do you want to map out location and position of debris? Proceanic provides geo-location services utilizing a combination of USBL, GPS and sonar technology. From the proverbial “bump in the night” when a ship touches ground, or collides with another vessel or jetty, Mini-ROVs are the ideal tool for a quick, easy, safe deployment to establish an initial assessment of extent of damage. To the catastrophic failure of a vessel or structure, Mini-ROVs can be deployed into hazardous, unstable environments without risk to life, whilst possibly providing urgent and critical feedback to first responders and incident investigators, seeking to mitigate further damages or loss of life. The mobility and agility of Mini-ROVs means that teams can be mobilized anywhere in the world, quickly and effectively providing emergency search rescue and retrieval capabilities in the unfortunate event of loss of life or equipment. 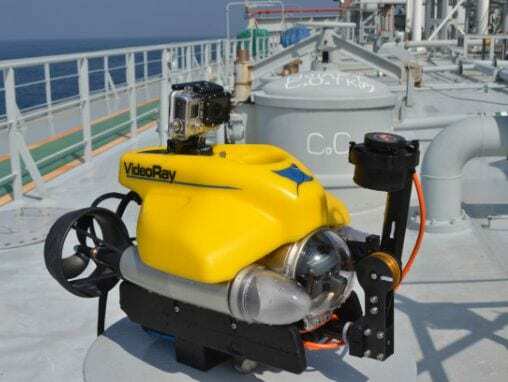 The Proceanic Remote Operated Vehicle (ROV) Group provides world-class ROV inspections including Ship and Offshore Installation Hull inspections, as well as tank internal inspections, riser inspections, mooring system inspections and more. By minimizing time of divers in water, reducing on-hire time of work-class ROVs and significantly reducing working footprint and impact to asset operations, Proceanic provides effective, proven, underwater inspection and intervention services focused on sensible cost savings without sacrifice of quality or reliability. We understand that UWILDs, ISIPs and other underwater inspections and interventions can be costly and intrusive to operators. Our job is to reduce that cost, limit or eliminate asset down-time and improve inspection quality and detail.